The cleaning looks decent but it would be best to apply a brightener before staining. 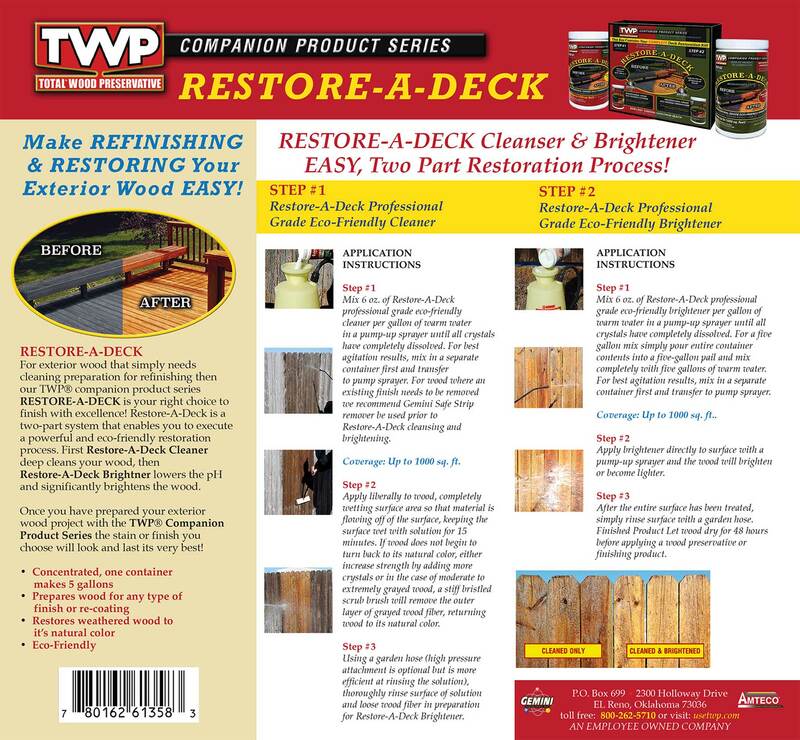 i stained my deck with twp 1501 2 or 3 years ago. 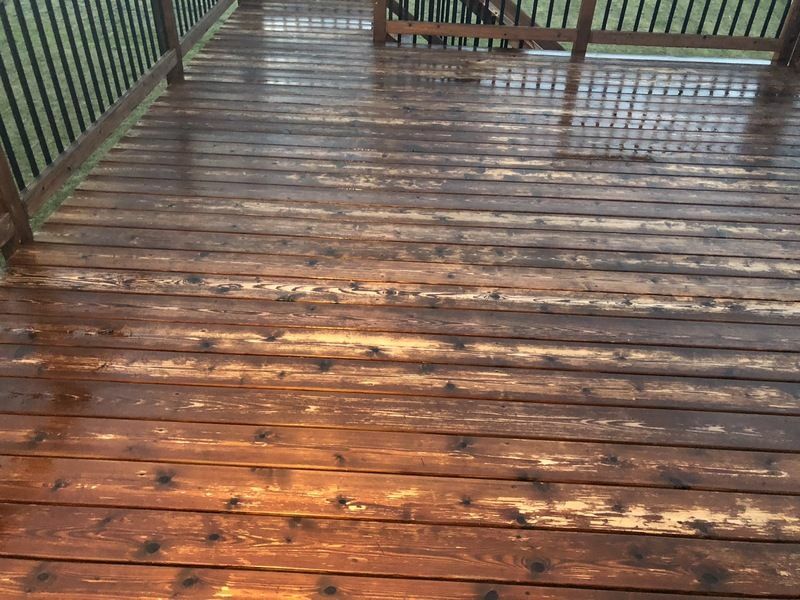 should i clean and brighten before re-staining? Yes. Prep with the Gemini Restore Kit. Use the Cleaner and pressure wash gently. A brightener will not work for prep of a maintenance coat. 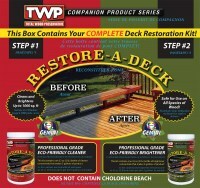 The prep work is done on my cedar deck (via Restore-a-Deck Steps 1 and 2) and I'm ready to stain. My only remaining question is about timing. I plan to apply a single coat of 1500 Series stain this year (not two coats, wet-on-wet). I am assuming i need to let the deck dry for 48 hours after Step 2 OR 48 hours after a rain shower, whichever comes last. I'm also assuming I need to apply the stain when there is no risk of rain for the next 48 hours. That means I need a window of 96 hours without rain. Is this a good assumption? My deck is on the west side of the house. It's in total shade until noon and total sunshine from noon to sunset. There are no trees, roof overhangs, pergolas or anything else. The deck is raised off the ground and air circulation is excellent. Are my assumptions of 48 hours before and 48 hours after staining good ones? 48 hours after prep before applying the stain. It should be rain free for 12-24 hours after applying. 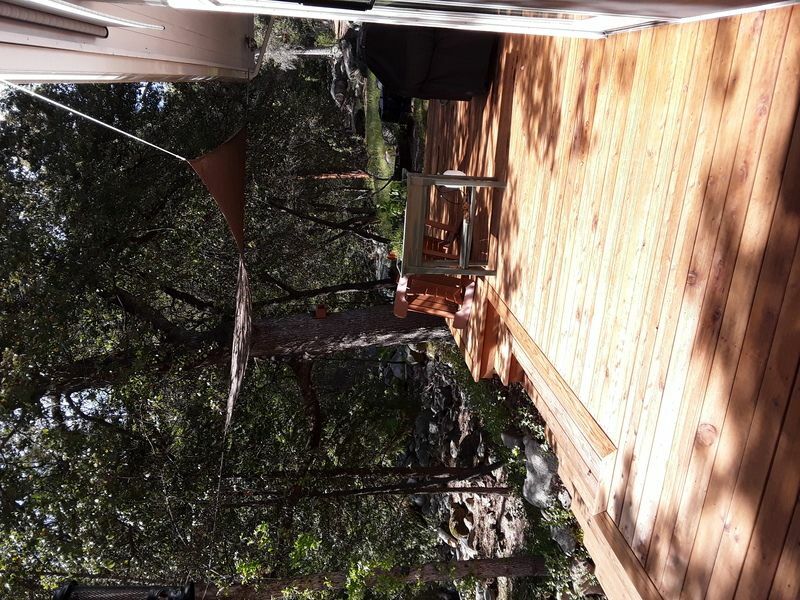 What should i do with my under an oak deck that is getting too much sap from tne tree? I already cleaned it and ready to apply the twp, but wonder if it will last. Any additive to help the twp 502i? Nothing you can do to help or prevent tree sap. So if i apply a new coat of my 502i it will turn black after a short period? I dont want to take it down. FYI, there is no such thing as 502i. Do you mean 1502? Not sure what you mean about turning black. TWP does not do this but the sap may. No way to prevent this. The TWP 502 was discontinued 8-10 years ago and replaced with the TWP 1502. The 502 may not be good anymore since it is sold old. My deck attaches to the second story of my painted hardy backer sided home. Will this harm the paint? ie: leave streaks or cause it to lift? It will be running down the painted wall of the first story. It should not harm the paint. Make sure to rinse the wall off when done to remove the cleaner and the dirt. The picture is one piece of wood cleaned, power washed, then brightened. The other piece is cleaned and brightened with low wash. Was stained 2 years ago with TWP. 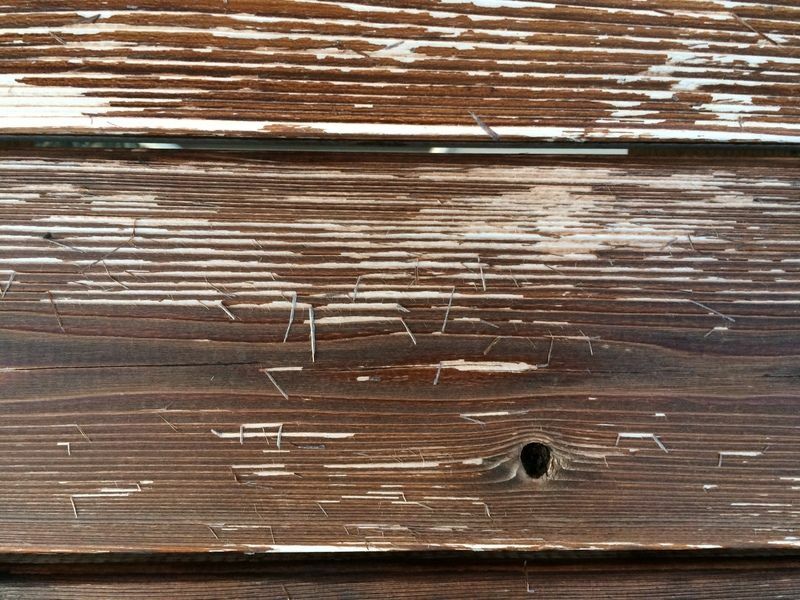 Is my problem with the one piece just not power washed hard enough or do I need to strip wood? Not enough pressure. Try to make it look li the board on the right. my cedar deck is completely surrounded by brick pavers. Will the restore-a-deck harm the pavers or degrade the paver grout. No, it will not harm it. This is the same process as the cleaner, it just removes the TWP fully. Apply and pressure wash off. Brighten when done. This will set you up for normal cleaning and brightening down the road as long as you do not over apply again. Thank you. Just ordered the stripper. Will this help rid of the wood fibers? So once I strip, clean, and brighten, do I stain 1 coat or 2 wet on wet? 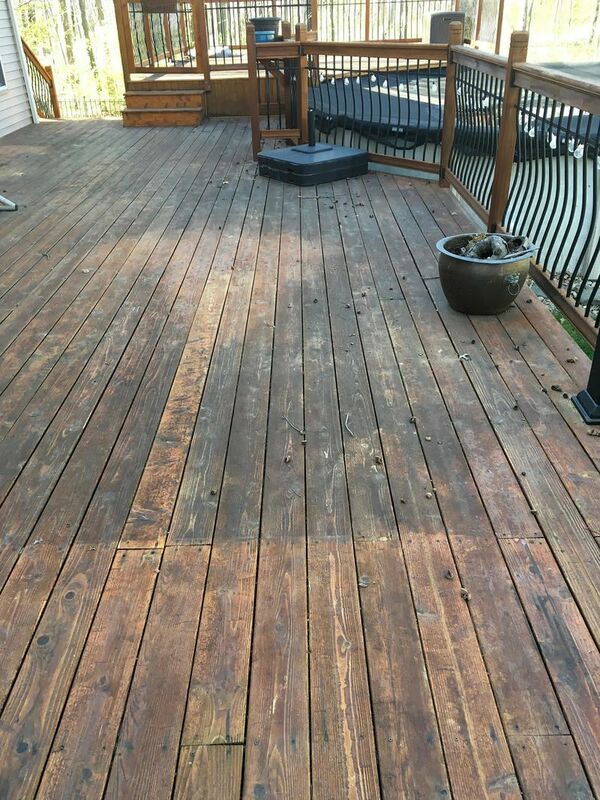 Hi, I attached a before and after cleaning, brushing/power washing/brightening of the cedar deck floor. Is this how it should look before staining? Please note not done with railings yet. Hi! 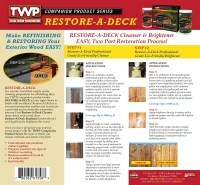 I stained new cedar deck 2 years ago with TWP 103 Dark Oak. I’m going to reapply stain so I purchased Gemini cleaner and brighter. I used a power wash after cleaner. Am I not using enough pressure or should the old stain stay on as much as it is? I’m afraid to etch the wood. If not enough pressure, can I repeat the cleaning/brightening steps right away? There is a lot of wood strands on the wood still. I’m having issues posting pics to this site. Used a the part one and two system. Waited the 48hr for drying. Question is it seemed to leave some water stains, will the stains show through after it is stained? Does it need to be clean again? Hard to say. Please post a picture. Is the new wood? You cannot stain new wood right away. The "green" bleed through is the pressure treated chemicals inside the wood leaching out after the prep. Deck was built in August 2017. So 8- 9 months ago. So back to my question, will these “chemicals” show through the stain or do I need to use your product to clean again to remove the chemical stains? It will show through. Let the wood dry out for another month or two and then redo the prep. So I believe I have enough part 1 for the section that I had to wait on. But I do not have part 2. Is there a way for me to purchase part 2 w/o part 1? You would have to call to do this. 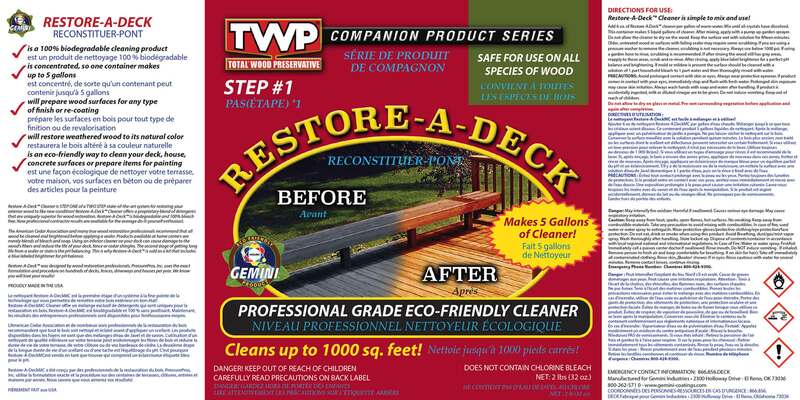 I have applied Step 1 (the cleaner) to my cedar deck. 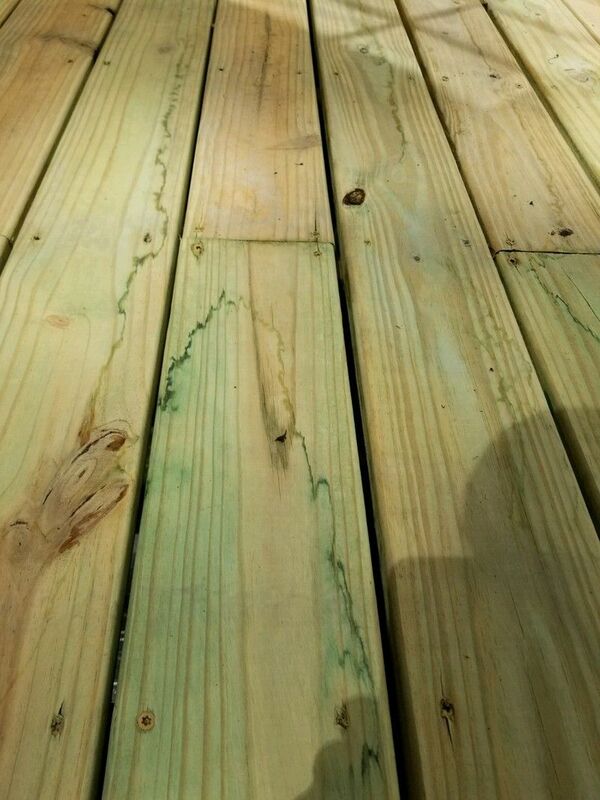 The wood appears much cleaner while wet but the deck is covered in a light, blotchy white deposit when everything drys. Will Step 2 (the brightener) remove this deposit or must I repeat Step 1 before using the brightener? That is most likely wood pulp from the cleaning that did not get rinsed off when you were done with the cleaning. Try a high-pressure rinse. For Step 1, I used a garden hose with nozzle, which gives good velocity but not he same as I’d get using a pressure washer. Am I likely to have some success using the same hose/nozzle (along with a good-quality deck brush) doing the second rinse you suggest or this really a case for a pressure washer? Pressure washer. You are not getting all of the oxidized (gray) wood fibers off the wood with the garden hose. Got it. One final question. I'll arrange for a pressure washer but it won't happen for a week or so. 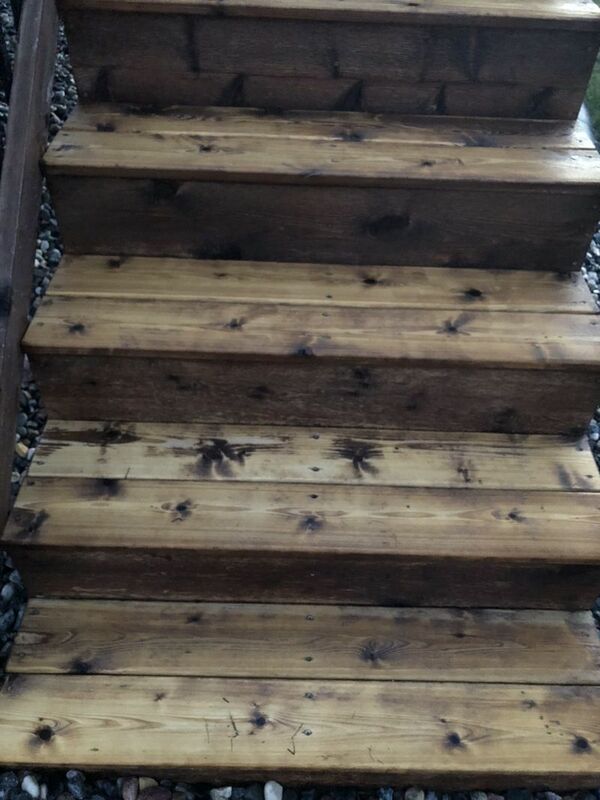 I know the purpose of Step 2 is to brighten the wood and to counteract the acidity of the cleaner from Step 1. Is there any harm to my cedar from leaving the residue of the cleaner on the deck for another week? Or should I do Step 2 now and clean up the fiber with the pressure washer in a week when it's available? Many thanks for your helpful suggestions. At this point, you can just brighten after you are down cleaning. Iam cleaning a dock that has aluminium around the wood and steel frame and wheels underneath. Do i need to tape up or protect either the aluminum or steel from this product. will it harm either one if it comes in contact with them? It will not harm it. I already have 5 gal of TWP 100 and will buy more. Please let me know how much total stain and Gemini I need for this project. Fence: 160 ft long x 8 ft high. The photo shows fence has slats too, not just wide boards. 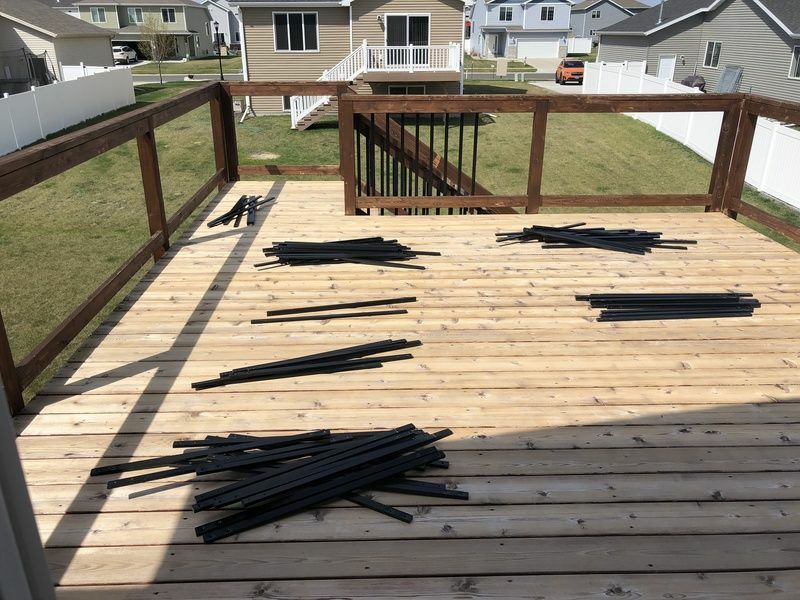 Deck: 13 x14, no railings or steps, and has not been stained since installing two summers ago. 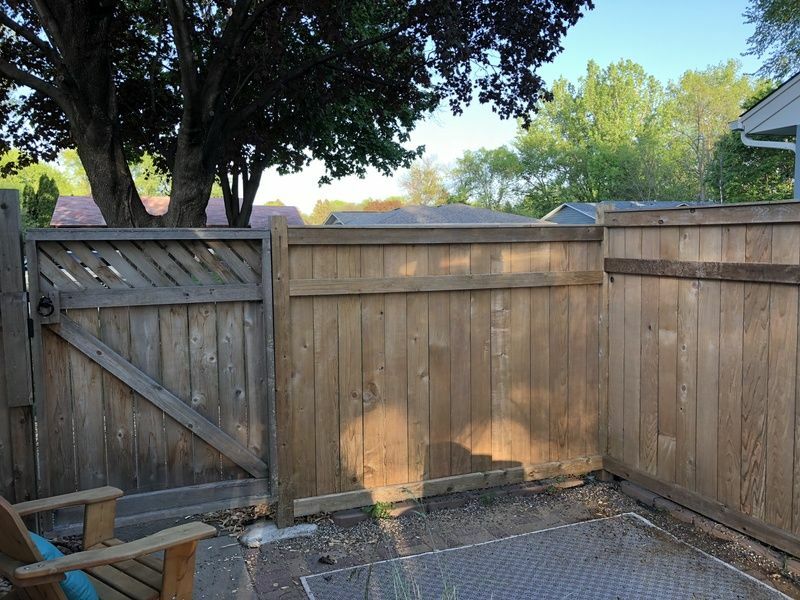 Fence: I only need 110 ft both sides and 70 feet one side ( the opposite side of this was stained prior to installation and is covered by metal roofing due to a uncooperative neighbor who would not let me stain or maintain after the fence installation). 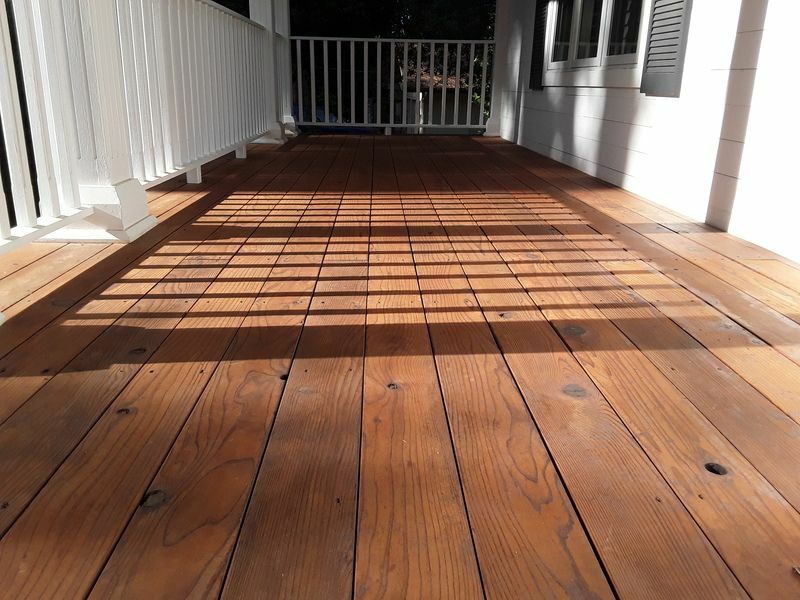 Fence and deck are smooth AYC decking. Each board is 5 5/8" by 7/8". I am not sure the photos uploaded, I tried twice. Hello, could you please give us a total sq, footage of all wood added up? I am getting 2476 Sf and his includes both sides of the fence on two sides, one side of fence on 70 ft side and 12 x 13 deck. For two coats applied to this, you will need about 20-25 total gallons. 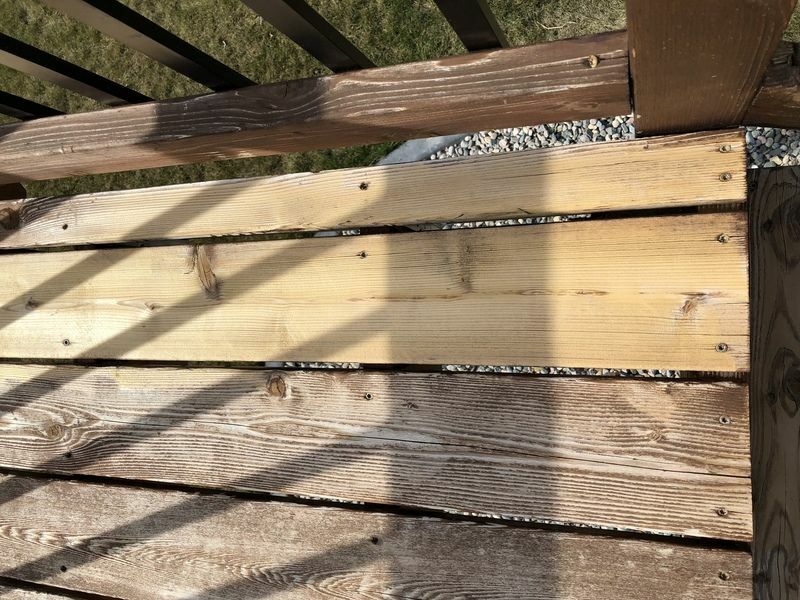 reading your website over and over for a year before and since building this fence in order to pick the best stain and understand the best application I saw that new wood, particularly smooth planed wood only needs one coat of stain the first time. Why are you suggesting two coats for the first application? How old is the wood? I thought you said two years? Two coats for the deck and only one on the fence. About 15-20 gallons for all wood. Thanks. and for the Gemini 2 part package, two of them? No. 3-4 total for 2500 sq feet. Could you please elaborate on the issues with the photo uploading? Did it give you an error message? What browser and type of computer are you using? Hello, please post a picture. I have attempted to post/upload a picture several times, but it won't allow me to do so. Do you have an email address I can send it to you? You can clean off this dirt with the Gemini Restore Kit. No need for the stripper. Are the images files smaller than 3mb? What browser are you using? You can also reply to the email notification that is sent. Part two of Alaskan Yellow Cedar Seattle fence and deck: wood is kiln dried and very smooth. I need to stain as soon as we have a few days of dry weather so I can begin landscaping project. 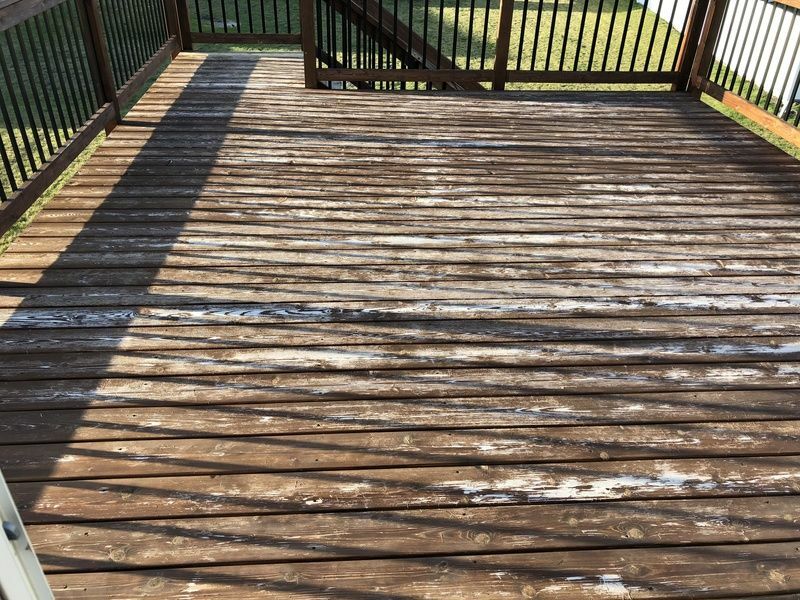 The deck looks weathered and gray but the fence boards have not turned gray or weathered yet. The Gemini cleaner will help remove the sappy wax from the boards being planed? The Gemini Cleaner will not remove tree sap. Thank you for your speedy reply. I think I miswrote what I was thinking. Because I have smooth decking for fence and deck, it is the mill glaze, not tree sap I was trying to ask about. The fence was exposed to lots of rain but not much sun since its completion late Nov 2017. We have more sunny days in a row coming up that will help with weathering until I can clean in a next two weeks. There is light to moderate scattered areas of black mildew on them. Will the Gemini cleaner remove whatever amount of glaze that is left so the stain will be better absorbed? The kit does remove mill glaze. A new 160 ft long, 8 ft tall fence using Alaskan Yellow cedar was completed end of Nov 2017. I also have a two year old 10x10 ft deck I never got around to staining. I used AYC smooth decking for the main body of the fence and deck. 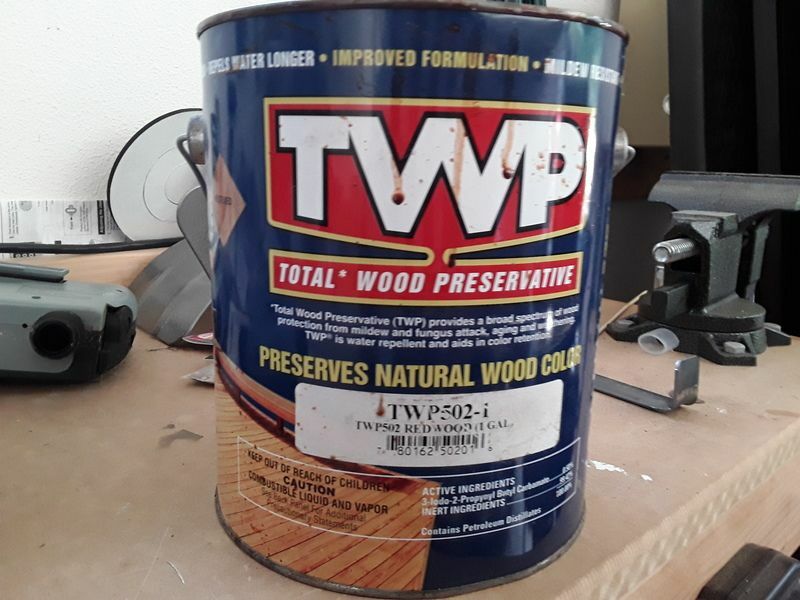 I knew I needed to wait a few months before staining the fence and have purchased the 5 gal TWP dark oak 100 series to use once the Seattle weather improves. I will soon be buying your stain and cleaner special. Two of the three sides of this fence gets a full day of sun in the summer. It's the end of April now and we have yet to have more than a few days in a row of sun here. I do want to know if using a pressure washer with the cleaner to clean away the black mildew already on the new fence boards will be wasting it versus hand applying it, letting it sit and hand scrubbing with a brush. I see other recommendations are to use the pressure washer with the Gemini cleaner but a fence is larger and harder to control the waste. The Gemini Cleaner is best applied with a pump sprayer and then pressure washed off. It cannot be applied with the pressure washer. Scrubbing would work but would take forever with this large fence. Thank you. I finally figured it out and bought a pump sprayer last night at HD. 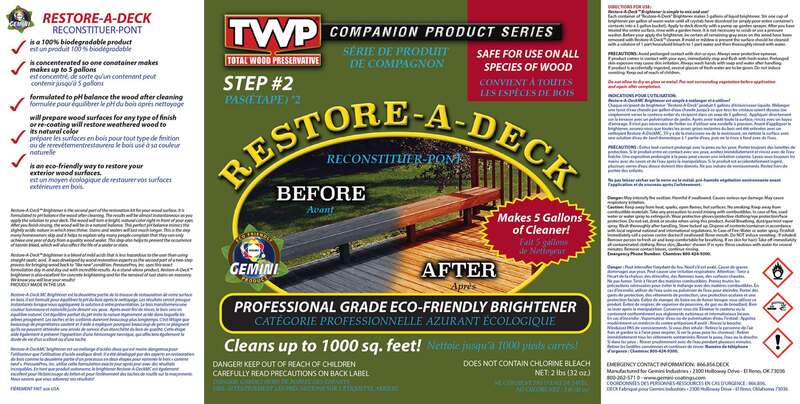 Can I buy restore a deck without having to buy the brightener? We only sell them in kits on our website. Is the active ingredient in the stripper or brighter chlorine or oxygen based? 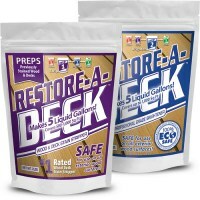 The Gemini Restore Kit is a cleaner and a brightener. The cleaner is "oxygen" based. No chlorine pr bleach.